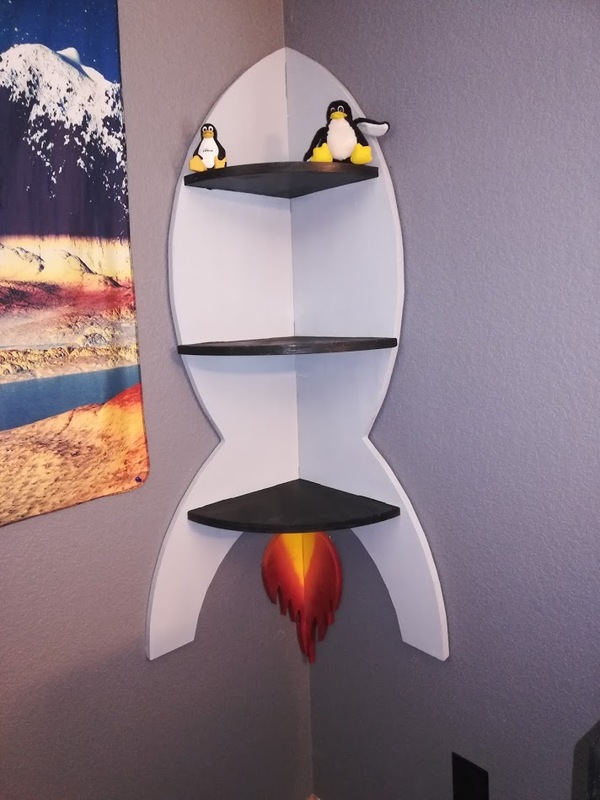 A corner shelf shaped like a rocket. The picture is of initial design. The current design has a smaller center shelf, so it does not overlap the side. The DXF file can be loaded into laserweb or another cam program and turned into g-code. This design is for 3/4" (19mm) plywood. I've attached an SVG created from Librecad without the tabs layer if you want to use makercam and generate your own tabs.